To complete my Halloween costume this year (Black Swan) I was determined to have the prefect ballerina bun! After much googling, pinterest searching, and testing I mastered the "sock bun"! Since I received several complements and inquires on my lovely bun, I decided to share this special trick with all of you. 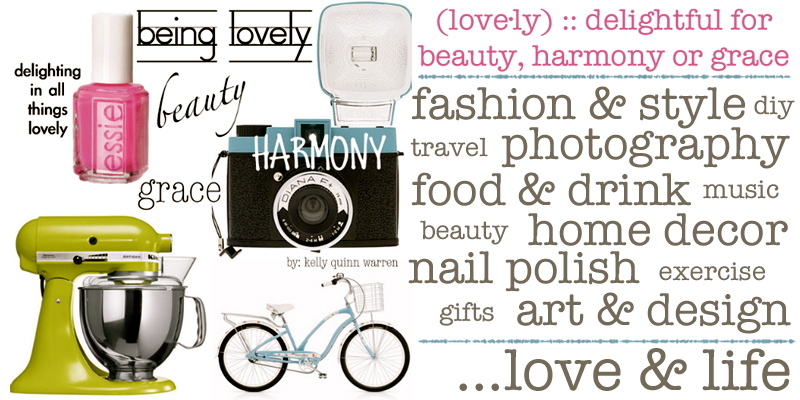 Here is a step by step guide...remember, practice makes perfect! 2. 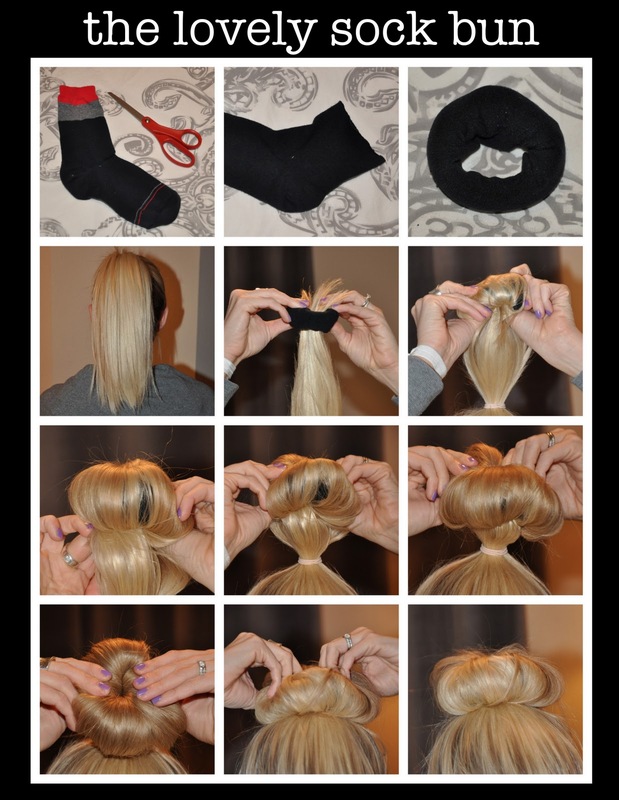 Roll the sock down until you create a "sock donut"
Such a cool DIY! I never would have thought to use a sock to create the perfect bun! Thanks for this tutorial. My teenage daughter and I have been working on our sock bun technique. We both suffer from lack of coordination and layered hair, so we don't have it down quite yet. We'll keep practicing until we get it down though. Or our layers grow out. Which ever comes first. :) Thanks again! Very nice idea! I try and I successed! Thanks for this tuto. I wrote an article with a link to your blog, and this image. It wil be published tomorrow morning. Tell me if you like! I have shoulder-length, but layered hair, and with a slightly shorter portion of the sock (cut out a little more of the toe area), I was able to successfully do this. I can't believe it :) Thanks for the tutorial. Side note, though, the video says it's blocked due to some WMG copyright something or other? I have extremely thick and layered hair and this worked like a charm! So happy! I've been so tired of the ugly original bun when i just wanna throw my hair up. This is stylish too! Sometimes I find it difficult to roll all my hair into the sock-donut neatly so I use a variation of this technique. I pull my pony through the sock, so that the sock is at the base of the pony (resting on my head). 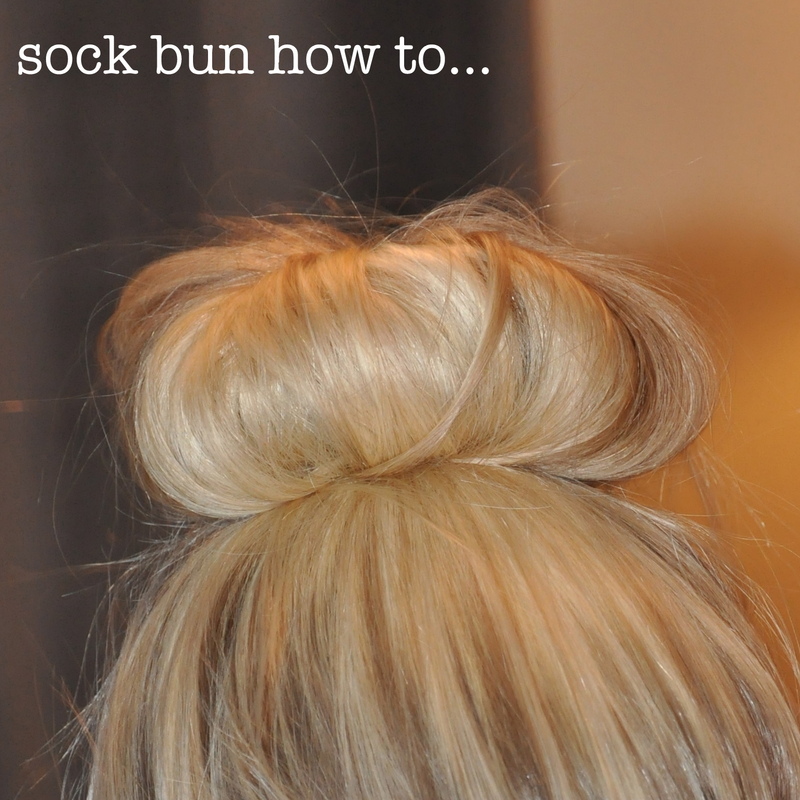 Then fan your hair out over the sock until it is covered completely. Slip a second elastic around the bun then pull the ends around the base of the bun as many times as needed so that they are tucked underneath and out of sight, then secure the tucked away ends with a couple of bobby pins. This is a good technique for people who have layered hair or for people with shorter hair that may not roll into the sock as easily as longer hair. Took a million tries and sock trimming but I got a decent messy one. You think it would work with an old schrunchie?